For the past few years I've been to Mexico about half a dozen times. The beautiful beaches, unlimited tequila and tacos around every corner, artisan shops and tropical weather make me convinced I could uproot my life like Kenny Powers in the 2nd season of Eastbound and Down and just start a life selling tchotchkes at the local market. 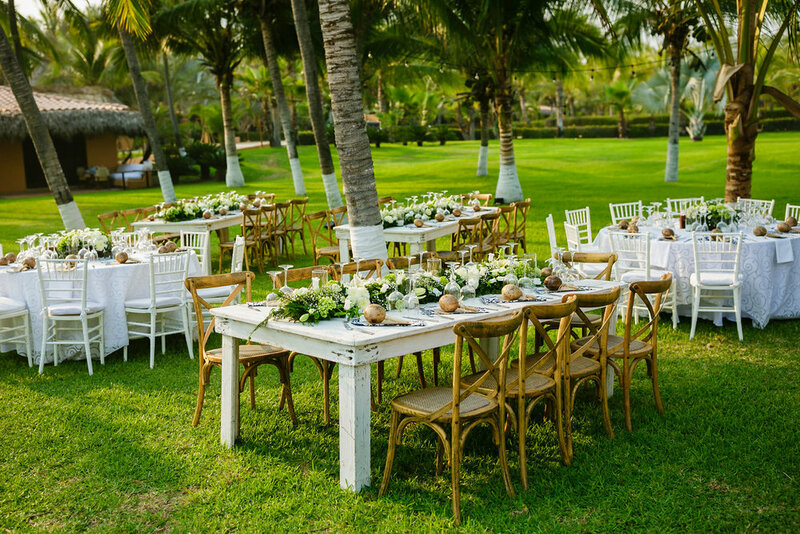 So when Vicky approached me about planning their Mexico wedding I was thrilled, I was able to bust out my very rusty, limited spanish, work on a fun, Mexican beach design concept and help 2 people celebrate their love in one of the most beautiful places with over 100 of their closest friends and family members! 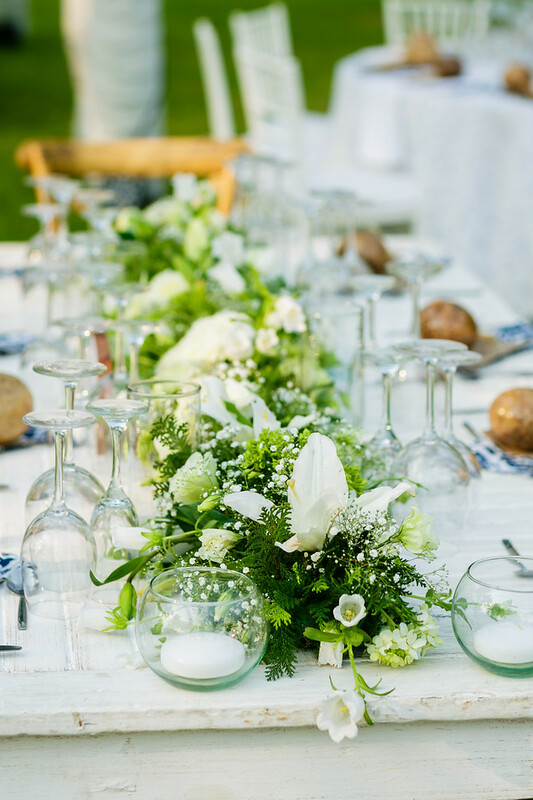 Planning a destination wedding may seem like an easy way to get rid of some of the typical stressors that come with planning a wedding but I can assure you that it is way more complicated. From language barriers, to a distinct disconnect in customs and policies to things that happen behind the scenes with limited access to resources (you can't just run to a Target for tea-lights or a backup bow tie) it can be a whirlwind of planning. But when you have a specific vision and you commit to it fully, you can do some beautiful things! Vickys family actually owns the resort where they held their wedding, a beautiful boutique spot where all of their family and friends could stay in close proximity and they took over the place making for a very private villa feel for the days leading up to and after the big day! 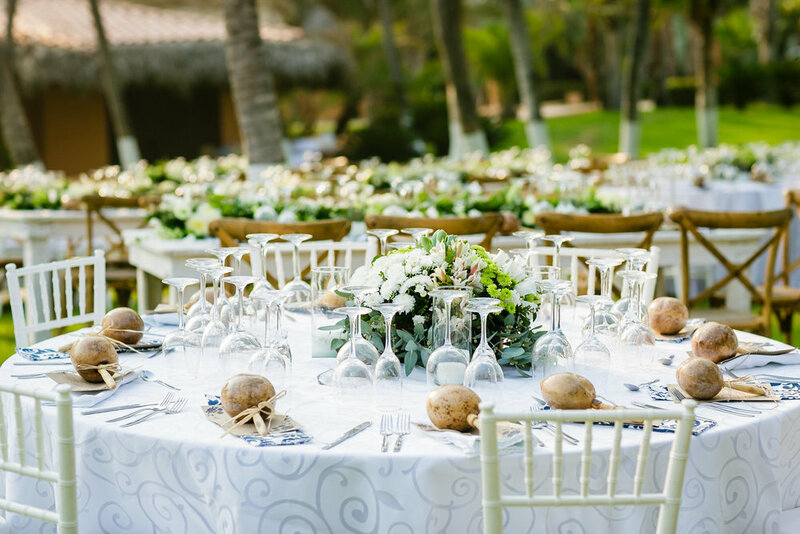 Vicky had a very specific, ambitious vision in mind for her wedding and with the help of Gaby and Alejandro from Cilantro Catering it was able to come together! Because I was planning the wedding sight unseen, Gabby acted as my eyes and ears (and translator!) and was incredibly helpful in helping put together the vision that Vicky wanted. 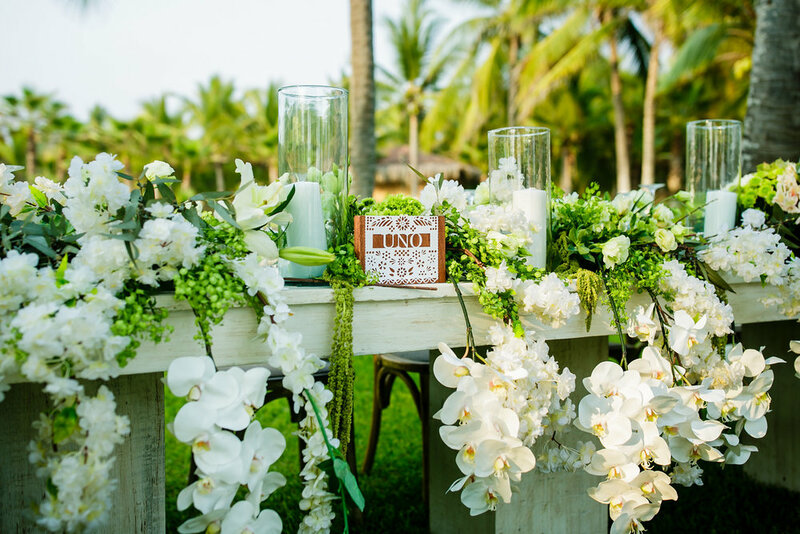 The wedding ended up being a blend of both American and Mexican elements, a fusion of both worlds coming together in perfect harmony, just as Vicky and Craigs marriage represented! the universal symbol for "ready to go"
Again, I would be lying if I said there were no issues behind the scenes, so many things you can't prepare for, down to the florist somehow forgetting the bridesmaids bouquets leaving the catering designer and I to throw together bouquets behind the catering tent out of pool flotillas 20 minutes before the ceremony began (no, for real). But of course as with all things (weddings included) everything ended up being pulled off beautifully and the party went on full tilt until about 3am. There was a beachfront ceremony, a midnight piñata & Tornaboda, endless margaritas, impromptu balloon limbo, laughter, dancing and a photobooth chock full of aspiring Mexican wrestlers. 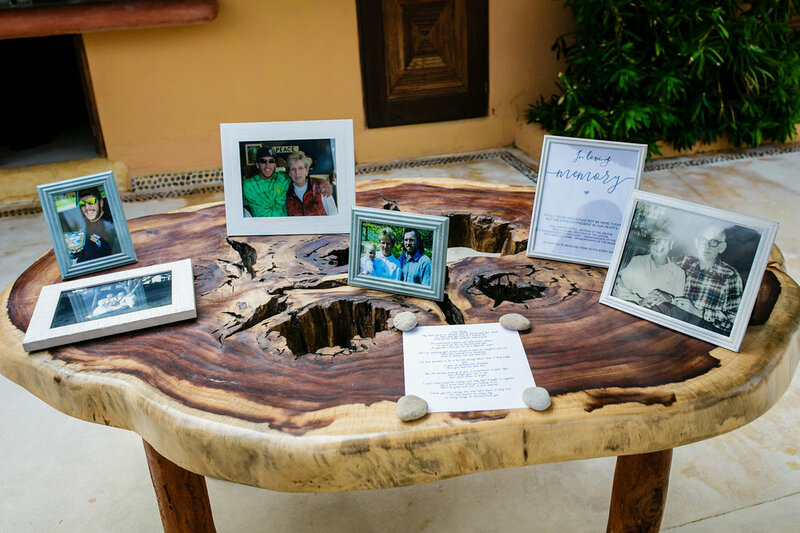 A wedding that Vicky and Craig and their loved ones will remember for years to come and I'm so happy we were able to help plan it!